Debra Wise* (Artistic Director, Underground Railway Theater) launched URT in Oberlin, Ohio with founding Artistic Director Wes Sanders, who recently completed an e-book documenting URT’s decades as a touring company (1978-2008). With Sanders, Wise helped create over 30 new works which toured nationally and internationally to venues ranging from Lincoln Center to public schools; titles included Sanctuary – The Spirit of Harriet Tubman, Home is Where, InTOXICating and The Christopher Columbus Follies. Wise led URT collaborations with Boston Symphony Orchestra (Firebird, Creation of the World, Tempest); and Wise created and staged plays for Boston’s Museum of Science (Aging Puzzle), New Center for Arts and Culture (Jewish Women and Their Salons), the Mary Baker Eddy Library, the MFA and the ICA (Art InterACTions), and the Cambridge Arts Council (theater in dialogue with public art). Since creating Central Square Theater with The Nora Theatre Company, Wise has focused on re-envisioning URT’s mission to grow from within its first theater home. With playwrights Alan Brody and the late Jon Lipsky, and physicist/author Alan Lightman, she co-founded Catalyst Collaborative@MIT (CST’s unique science theater partnership with MIT), and led partnerships with Mount Auburn Cemetery (Our Town) and the National Park Service (Roots of Liberty – The Haitian Revolution and the American Civil War, featuring over 50 actors, dancers, musicians, and guest artists Danny Glover and Edwidge Danticat). URT has won Elliot Norton awards under Wise’s leadership: for The Convert and Constellations (Outstanding Production) and Bedlam’s St. Joan (Best Visiting Production). Other appearances on the CST stage include Kushner’s Homebody, Copenhagen, Brundibar & But the Giraffe!, The Other Place, Distracted, The How and the Why, Einstein’s Dreams, From Orchids to Octopi: An Evolutionary Love Story, Yesterday Happened: Remembering H.M., Breaking the Code, Arabian Nights and A Christmas Memory. 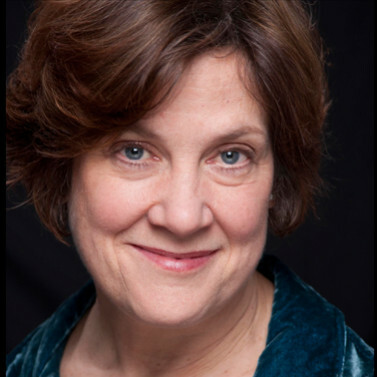 Acting appearances on other Boston stages include Mistero Buffo (Poets’ Theatre); A Boston Marriage and Orson’s Shadow (New Repertory Theatre), Brooklyn Boy (SpeakEasy Stage Co.), and Chosen Child (Boston Playwrights’ Theater); in NYC, The Haggadah (The Public, with Julie Taymor). Wise has been nominated for Outstanding Performance by both the Elliot Norton Awards and the IRNE. Her work as a playwright includes States of Grace, inspired by the stories, poems, and essays of Grace Paley; and Alice’s Adventures Underground, based on the works of Lewis Carroll. She collaborates each summer with Harvard’s Project Zero, training educators on using theater to help students think more deeply across the curriculum.